There is much speculation about what went on in the January transfer window regarding the signing of Alex Chamberlain from Southampton. I've been told the player himself had made up his mind and wanted to come to Arsenal provided a deal could be reached with Southampton which reflected the valuation they had of him. Chamberlain feels loyal to the coaches at the south coast club who have shown faith in him and helped him progress through the ranks at great speed. The player himself however felt Arsenal was the best place for him to realise his potential, should a move be on the cards. His family and advisors agreed that Arsene Wenger was the man to get the best out of him and Arsenal were the club where he would get a chance, as Theo Walcott, another former Southampton player had already trod the path from before him. However there was one man who was against any such deal for the player. Southampton chairman Nicola Cortese refused to listen to offers from Arsenal. Even though Chamberlain's advisors had told him that a deal with Arsenal could be done. 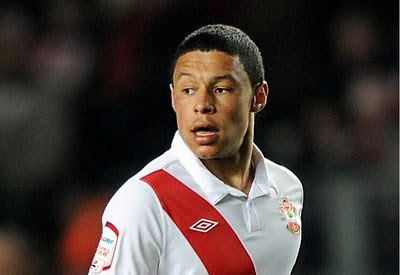 He informed them that Chamberlain would see out the season on the south coast and that the Saints were the best club to develop him. Obviously, the Chamberlain camp were bemused by the thoughts of Cortese with regards the League one club were better placed than a Champions League team at training players to reach the top of their game. Chamberlain is not affected by the situation and is said to be determined to do his best to help the south coast club achieve promotion to the Championship at the end of the season.